As it pertains to oral family histories – the Miller family has done a great job – specifically as it relates to James Turner Miller, the father of Elijah Spencer Miller (whose wife was Harriet Curbow). When I began researching the life of Elijah and Hattie – I naturally poked around for information on Elijah’s father, and through census records, I believed that to be James Turner Miller, who lived “east of the Brazos – near Waco, Texas. As I worked with other Miller researchers, I was told on more than one occasion that Mr. Miller was a wealthy landowner, had been in Waco on a supply trip on the day of his death, and that he had been murdered by cattle rustlers on his way home. I put that in my “to be determined file” and moved on with the research. Thankfully, I have many fantastic research partners – and Mr. Tom Hedges (a Miller descendant) – was able to locate this news article, presumably published in a Waco newspaper the day after the murder on 19 Aug 1873. Intelligence was yesterday morning received of the death by gunshot the evening before, of James T. Miller, a resident of this county, and one of the most orderly and respectable citizens. Who it was that committed this atrocious crime, or by what spirit of diabolism actuated, is yet one of the undeveloped mysteries. Certain it is, however, it was a murder most foul. Jim Miller, for so he was familiarly called, was in town the day he was killed, and it is known that he was not armed. He fell, therefore, by the hand of the assassin. He had bought during the day supplies and a quantity of lumber for use on his place, and was on his way home with them. He lived at the Pitts place, on the Corsicana road, twelve miles from town. A short distance this side of town, night coming on, Mr. Miller, being on horseback, left the wagons on the main road and started home on the “trail,” a more direct route. Shortly afterward the report of a gun was heard in that direction; Mr. Miller not coming home, search was instituted, and on the following morning (yesterday) his body was found. He was shot at the trail crossing of that ill-famed creek, the Tehuacana, a short distance above the Corsicana Road. A load of buckshot, some eighteen or twenty, taking effect in his side, had done its bloody work and there he lay. “Dead men tell no tales,” and in the absence of witnesses it is possible that the perpetrator of this great crime may go unwhipped of justice and unrecognized, save by the eye of heaven, as the murderer he is. But if it is possible, under such circumstances and in the absence of any clue, to ascertain who it was that did the deed, this should be done and the guilty party be awarded at the hands of the law the fearful penalty due his crime. The deceased will be buried with Masonic honors by Waco Lodge No. 92, to-day. As it turned out – the family oral history was spot on about the facts of Jim Miller’s murder. James Turner Miller – known as Jim – was born to Alfred Miller (b. 1793) and Sarah Wray on 12 Feb 1824 in South Carolina. At the time of the 1850 census we find James T. Miller living next door to his father in Oktibbeha County, Mississippi. He is a blacksmith – both he and his father are land and slave owners. Jim is living with his first wife Rebecca, age 21 (Rebecca Ann Anderson) and son Elizah, age 2; (Elijah Spencer Miller, born 1849). Also next door is Rebecca Anderson, Elijah Anderson and James Anderson. Can we presume this to be the family of Rebecca, Elijah Miller’s wife? Miller researcher Shirley McAnelly Hill states that Jim Miller and family were in Texas by 1858 – and they can indeed be found in the 1860 census living in McLennan County, Texas. He is with his wife Rebecca and son Spencer and daughter Nancy (Nancy Roseann Miller, born 1859). The oral family story continues stating that Rebecca died in childbirth while Jim was in Galveston, Texas serving in the Civil War sometime around 1862. As it turns out, this part of the family story checks out as well – Jim did serve in Confederate Army with the 9th Militia Dist., McLennan County, 28th Brigade, Texas Militia – where he held the rank of 3rd Sgt. It could be that the child Rebecca gave birth to was daughter Mary Alice Miller (born 1862). Jim Miller married for a second time to Catherine S. Young on 9 Dec 1864 (presume in McLennan County – although I have not located a marriage record for them there). The couple had five children: William Turner Miller in 1865; Susan Ellanora Miller in 1867; Rebecca Miller in 1869; Permelia Paralee Miller in 1871; and Jesse Perkins Miller in 1873). When the census was taken in 1870, the family is still living in McLennan County, Texas “east of the Brazos.” At that time Jim owned real estate valued at $8,500 and personal property valued at $2,000. On a recent genealogy trip to Waco, my husband and I spent hour upon hour, looking through old Wills and probate papers at the McLennan County District Clerk’s office. While there I pulled the Will and probate file of James Turner Miller – and it was voluminous! The probate file settles James Turner Miller’s family relationships and confirms that he was a very well to do citizen of McLennan County, Texas. Since the file was so large, I did not copy it in its entirely; however, I did have a few pertinent pages copied – and will write about that in my next post. Stay tuned. Getting back to the land transaction involving John Corbo, we know that during this time period a man had to have reached the age of majority – which was 21-years of age. Accordingly, this John Corbo was born at least by 1717 but could have of course been much older. Application: Under William Penn all requests to purchase acreage at a desired location were made verbally (probably at the land office). Later, under Penn’s heirs, applications were in writing. In the case of John Corbo, his warrant was issued on 25 April 1738, and accordingly, he has no written application on file because, as mentioned, during this earlier period all applications were being made verbally. Warrant: This is a written order, based on the application, to survey the requested tract of land. 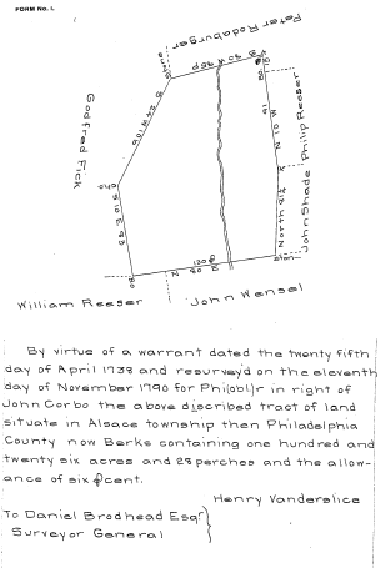 John Corbo’s Warrant states that he requested 100 acres of land “situated about two miles from Francis Lanciscees on Oley Hills in Oley Township.” In his Warrant, John Corbo agreed to pay the sum of fifteen pounds and ten shillings for the land and “yearly Quit-rent” of one half penny Sterling for every acre thereof. Survey: Once the application was made and the warrant issued, a surveyor physically measured and marked the land and prepared a survey. Return of Survey: After the survey was filed with the land office, the settler was required to make payment on the land. The image below is the Survey attached to John Corbo’s warrant file. This image will make more sense once the Patent is discussed below. The land that belonged to John Corbo is in the upper right hand corner labeled with Phillip Reeser’s name. Patent: A Patent was a written first title to the property conveying ownership to the individual submitting the application. Subsequent transactions involving the property were generally conducted on the county level. If and when I locate the pertinent deed, I will update this post should it yield further information on John Corbo. The Patent associated with John Corbo’s land transaction was “returned” 22 Dec 1790, some 52 years after the date of the application, and was shown to convey land to a Henry Reeser. My initial question was whether John Corbo owed the land for 52 years. The chain of title below clears this question up. Once I begin poring over the land Patent, I began to get a clearer picture of how things actually transpired. As it turns out, John Corbo only held the land for nine years – selling it on 1 Apr 1747. …..there is granted by the said commonwealth unto the said Henry Reeser a certain tract of land called “Plainfield,” situated in Alsace Township, Berks County……. ……in pursuance of a warrant granted to John Corbo dated 25th April 1738 who by deed dated 1 Apr 1747 conveyed the same to Lawrence Hart who by deed dated 9th of July 1748 conveyed the same to Tider Brener & Benjamin Lightfoot Sheriff of said county having taken the same in execution to satisfy the debts of the said Brenor by deed dated 6th Feb 1788 conveyed the same to the said Philip Reeser in fee who conveyed the same to the said Henry Reeser…. 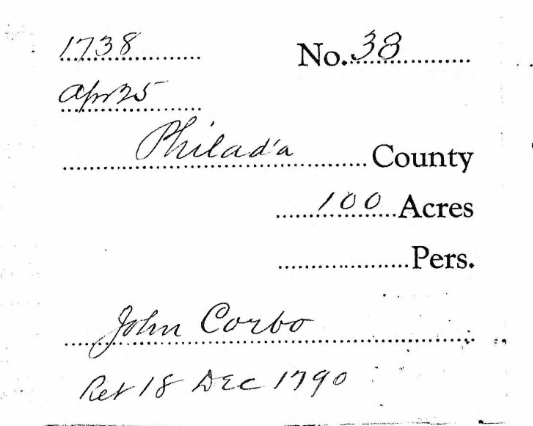 Oddly enough, given the abundance of historical records maintained by the State of Pennsylvania, John Corbo appears in no other Pennsylvania record. I have reviewed many, many internet resources and have scoured the Pennsylvania collections of several libraries to no avail. 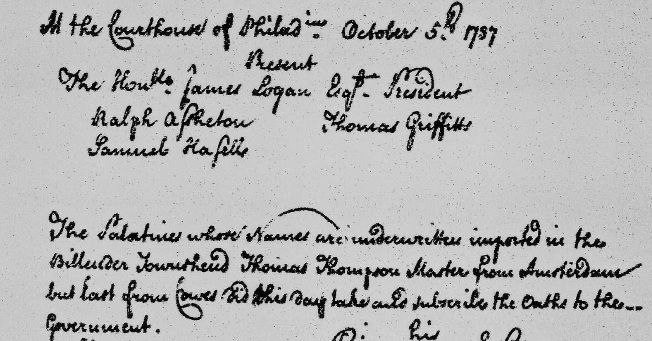 Pennsylvania has marriage and probate records dating as early as 1682; church records as early as the 1730s; and naturalization records as early as about 1740. 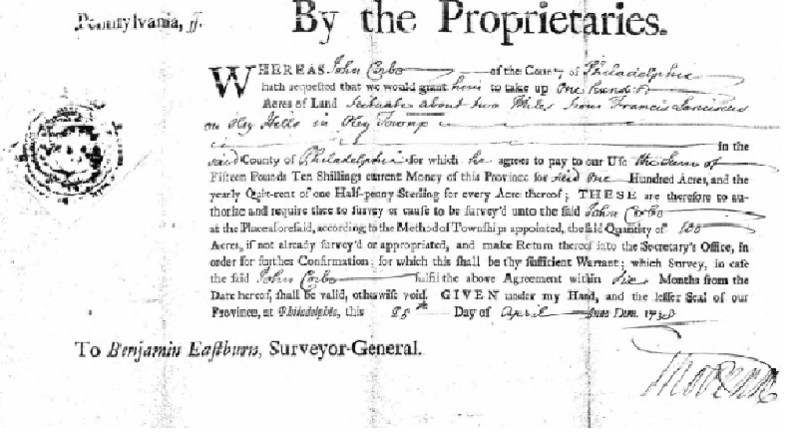 (Note – tax records for the property mentioned above in Oley Township are not available until 1758 – over eleven years after John sold his property.) John Corbo appears in none of the available records. As always, the constant misspelling of the surname makes researching the Curbow family extremely difficult. While searching for records, I found a John Cambree present in Philadelphia County in 1744; a Eberhard Karboe (with Christina C. Zink) present in Philadelphia county in 1753; a Solomon Kirby, a Nathaniel Kirby – both known Curbow first names; a John Coble; and a John Carbough of York County, Pennsylvania. None seem to be our John Corbo or seem to be connected to him. What happened to John Corbo of Philadelphia County, Pennsylvania? Why is there no record for him after the sale of his land in 1747? Did he die young? More likely to me – he followed the German migration pattern and left the area. Stay tuned for – John Corbo of Maryland. QUESTION: We have established that the John Corbeau of Freichstals, Germany and the Jean Corbeau that arrived in Philadelphia in 1737 is one and the same person. Now – is the German/French immigrant John Corbeau and the Pennsylvania land owner John Corbo one and the same person? We begin our journey down the family tree with a man who I believe could be our Curbow immigrating ancestor. He is, in my opinion, a much stronger candidate than the Jean Carrieŕe mentioned in the 1949 newspaper article I detailed in yesterday’s blog post. Of course, nothing is definitive and much more research needs to be performed and much more proof must be uncovered before we can tie him into our family line. From a publication entitled, History of the Clewell Family (published 1907) we get a glimpse into what Jean Corbeau’s voyage to the new world must have been like. The Clewell’s ancestor, Louisa Franz Clewell was on board the Billender Townshend along with her two sons Franz and George. It is stated that: The Billender Towhshead anchored in the Delaware at Philadelphia on Saturday, October 5, 1737, from Amsterdam, Holland (page 21). The account continues: According to tradition the voyage was a stormy one. Storm after storm overtook them and during one of these storms Johannes G’Fellern (Louisa’s husband) was drowned (page 24). There are numerous books which chronicle the early arrivals to the Port of Philadelphia, including, Pennsylvania German Pioneers: A Publication of the Original Lists of Arrivals in the Port of Philadelphia from 1727 to 1808, Volume I and Memorials of the Huguenots in America: With Special Reference to Their Emigration to Pennsylvania, both include a listing for Jean Corbo who arrived 1737 and settled in Pennsylvania. While the name Corbo or Carbo is not a proven or accepted name by the American Huguenot Society, it does appear that both the Germans and the Huguenots are claiming Jean Corbo/Johann Carbo in the two referenced books. It is entirely possible that Jean Corbo was what became known as the Pennsylvania Dutch (Deutsch). The Pennsylvania Dutch were a cultural group formed by early German-speaking immigrants to Pennsylvania. The true origin of the Pennsylvania Dutch is often confused – because the people known as the Pennsylvania Dutch are not from Holland but rather are of a mixture of German, Swiss, and French Huguenot origin. The first wave of these settlers began in the late 17th century and concluded in the late 18th century. Again, the majority of these immigrants originated in what is today southwestern Germany. The first major settlement of Pennsylvania Dutch was located in northwest Philadelphia County, Pennsylvania. Many of these Pennsylvania Dutch immigrants then migrated down the Great Wagon Road into North Carolina. This was particularly true after North Carolina established a “headright system” in the late 1700s where the state gave away one hundred acres to male heads of household who were willing to settle in western parts of the state. Germans being a frugal people leapt at the opportunity of the free land being offered. The Germans of western North Carolina generally migrated from Pennsylvania to the Yadkin River Valley. This very closely follows the believed migration pattern of our Curbow ancestors. Looking back at the passenger named Jean Corbo who arrived in 1737 on the Billinder Townshend – there are indeed some very interesting and compelling parallels between him and the history of the German Palatines, the Pennsylvania Dutch and their migration patterns. 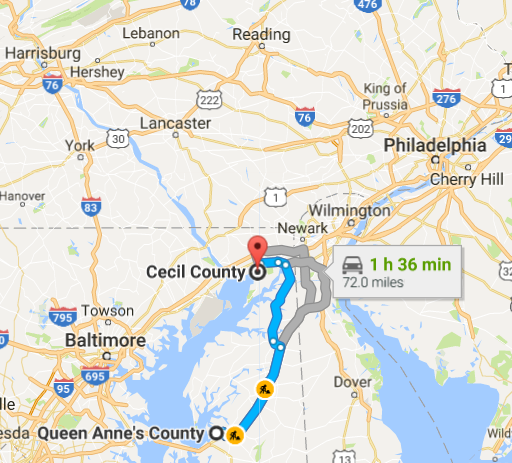 In looking at the other passengers who arrived on the Billinder Townshend with Jean, it appears that many of them ended up in Philadelphia County (present day Berks County), Pennsylvania and that many of them originated from Friedrichstal, Germany. 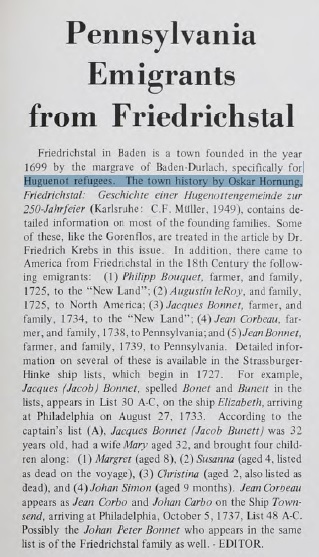 In the Spring, 1973 issue of Pennsylvania Folklife, in an article entitled, Pennsylvania Emigrants from Friedrichstal, we learn that Friedrichstal, Germany was founded in 1699 specifically for Huguenot refugees. In honor of Friedrichstal’s 250th birthday celebration, author Oskar Hornung wrote a town history (Friedrichstal: Geschichte einer Hugenottengemeinde zur 250 Jahrfeier). This book contains information on most of the founding families of Friedrichstal, and among them we find a Jean Corbeau. Unfortunately, I have not been able to locate the book here in America – most copies are located in Germany. Thankfully, it is among the collection of the LDS library, and I have ordered the film for review. Luckily, I can read German, and I am very hopeful that we may glean more information about Jean Corbeau and his family. I’ll update this post after I have reviewed the film In the meantime, the referenced article states that Jean Corbeau was a farmer with a family and that he arrived with them on the Ship Townsend at Philadelphia on October 5, 1737. Based on this article we can conclude that Jean Corbeau of Friedrichstal, Germany was a French Huguenot and that he and Jean Corbo of Philadelphia County, Pennsylvania are one and the same person. Can we conclude that Jean Corbeau is our immigrating ancestor? No – but stay tuned for Part 2 – Jean Corbeau – Pennsylvania Land Records. 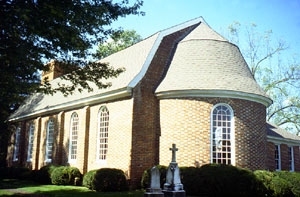 Many years ago, when I initially began to delve into the history of my husband’s Curbow family, I was told by immediate family members that three Curbow brothers came to America from Ireland – while still other researchers stated that the Curbow’s were French Huguenots who fled France to escape religious persecution. In addition to this oral history, I ran across a 1949 newspaper article published in the Southwestern Times (a Houston, Texas publication) entitled, Local Couple to Join Six Varieties of Kerbow at Cooper. 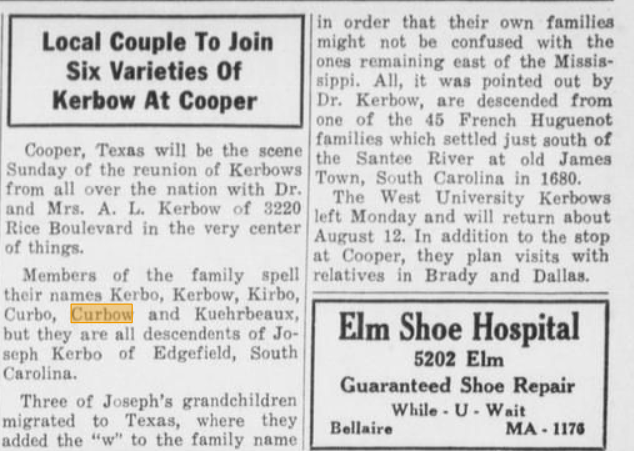 The article goes on to detail a Kerbow family reunion which was to include all spellings of the surname – Kerbo; Kerbow; Kirbo; Curbo; Curbow and Kuehrbeaux. The article claimed that the family (no matter the spelling) is descended from a Joseph Kerbo of Edgefield County, South Carolina, and in particular, is descended from one of the 45 French Huguenot families which settled just south of the Santee River at old James Town, South Carolina in 1680. To date, I have found no real sources to substantiate any of these family stories. To be sure, we do have a Joseph Curbow in our line. He was a North Carolina revolutionary war soldier, who did live for a period of time in the Edgefield District of South Carolina but later settled in Gwinnett County, Georgia. Joseph is believed to be one of our Curbow ancestors – we just don’t have the information yet on how he ties into our family line. I believe that the French Huguenot ancestor being described in the Southwestern Times news article is Jean Carrieŕe who did in fact settle in Old James Town, South Carolina on the Santee River. Old James Town was located about forty miles north of Charleston and was settled by French Huguenots who established the first Huguenot Church there (The French Santee St. James). In Jean Carrieŕe’s naturalization record, he was described as a cooper and a planter. He was born to Jean and Elizabeth Carrieŕe in Normandy, France. According to relevant parish records, he did marry and he did have a son named John. A Jean Carrieŕe (possibly the father of this immigrant) was denizened in England in 1700. A land warrant was issued in South Carolina on 3 Jan 1701 for the survey of 200 acres for a “John Careau.” I believe that we can disprove – or at least cast heavy doubt on the theory – that this Jean Carrieŕe is our Curbow ancestor. The timeline is much earlier than what we know about our Curbow ancestors and this information does not fit our Curbow family migration pattern (Pennsylvania to Maryland to North Carolina to South Carolina to Georgia and then into Texas). The Curbow surname does appear to be of French origin. As used in America, it may be an Anglicized form of the French surname Courbou(x) or Courboules. In that instance, Curbow is derived from the village named Courbou(x), in the Lat and Haute-Saone region of eastern France. Alternatively, it could be an Anglicized form of Courbeu(x) or Corbault. In that case, the name derives from the French word corbeau – which translates raven. In genealogy, your family history research must begin with the known facts about your ancestors and work itself to the unknown. 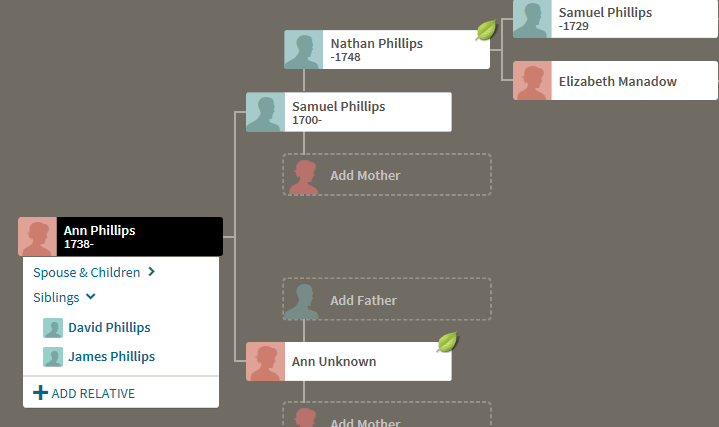 After almost ten years of researching, I have hit a major brick wall with my husband’s 3x great grandfather, Tilman P. Curbow, and so I have decided to do something that any professional genealogist would warn you against. I have skipped forward by several generations of known Curbows – and have started working my way down the family tree. By doing this I hope to get a clearer picture of the Curbow family as a whole and possibly glean some answers as to who Tilman Curbow’s parents were. Have any of you ever researched “down the family tree”? What are your strategies in breaking down brick walls? Do you remember playing the childhood game called “telephone” – the game where the first person in line whispers a phrase into the second person’s ear, and the phrase is then repeated down the line? When finally at the end of the line, the phrase almost always ended up being vastly different than what it was at the outset. And so it goes with family stories – sometimes they are true, but many more times, they are simply family legends and myths. “Our family has Native American ancestry. 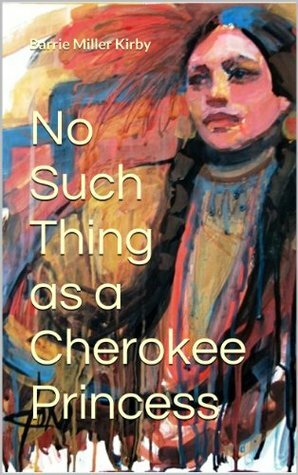 Our great-grandma was a Cherokee Indian Princess.” This story never varies – it’s always a Cherokee – never another tribe – and it’s always a female princess – never a male king, prince or chief. 🙂 The majority of the Curbow researchers that have contacted me have made this same assertion. I have done extensive research on several Curbow lines and have never found proof of Native American lineage and there has been no Cherokee Indian Princess lurking among the ancestors! From the Cherokee Museum: The Cherokee never had princesses. This is a concept based on European folktales and has no reality in Cherokee history and culture. “Our family is related to Jessie James, John Wesley Hardin, Billy the Kid, Kit Carson, Daniel Boone , etc., etc., etc.” Of course, it’s only human nature, to want to lay claim to one of these American legends and place them in our family tree. It is also true that not everyone with the surname James can be traced back to Jessie James – and not everyone named Boone can trace their roots back to Daniel Boone. Such a relationship can only be proven by diligent research and proper sourcing. “Our first American ancestors were three brothers who came to America…..” I ponder the fact that it’s never five brothers or six sisters – always three brothers!!! I hear this family story very often and so it was with our Curbow family. When I first seriously began researching the family all I had heard was: “Three brothers came to America from Ireland.” None of this proved to be even close to the truth. Do your research! Brothers, Joseph Curbow (1755-1850) and William Curbow (1757-?) were both Revolutionary War soldiers. The family story states that both Joseph and William were present at the British surrender in Yorktown in 1781. Fact or fiction? Lieutenant-Colonel John West was said to have committed adultery against his wife and left her to live with Cockacoeske – Queen of the Pamunkey – and purportedly a cousin to Pocahontas. Fact or fiction? One of the “Curbo girls” married into the John Wesley Hardin family. The “Curbo boys” ran with the gang and are responsible for burning down the Courthouse in Hill County, Texas in the late 1870s. Fact or fiction? With all this said, I do believe that most family stories begin with a smidgen of truth. In other words, where there is smoke there might be a fire. Take it all with a grain of salt and do your own research being careful to source every fact. The family story that has been passed down to you may be a starting point that leads you to breaking through a brick wall and compiling a very successful and interesting family tree.